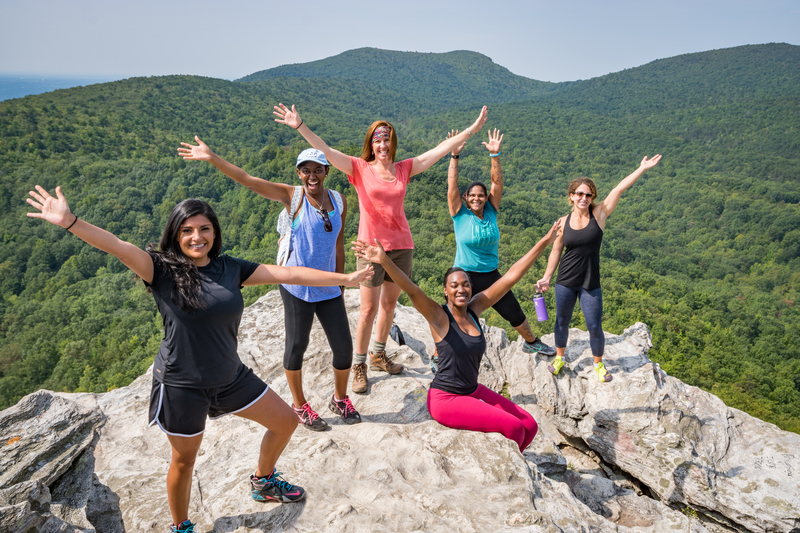 Eight years ago, Candice Williams, one of our customer service reps, stepped on a scale for a health screening at work. Candice looked down and saw the word “Error” where numbers should have displayed. She had exceeded weight limit of the scale. 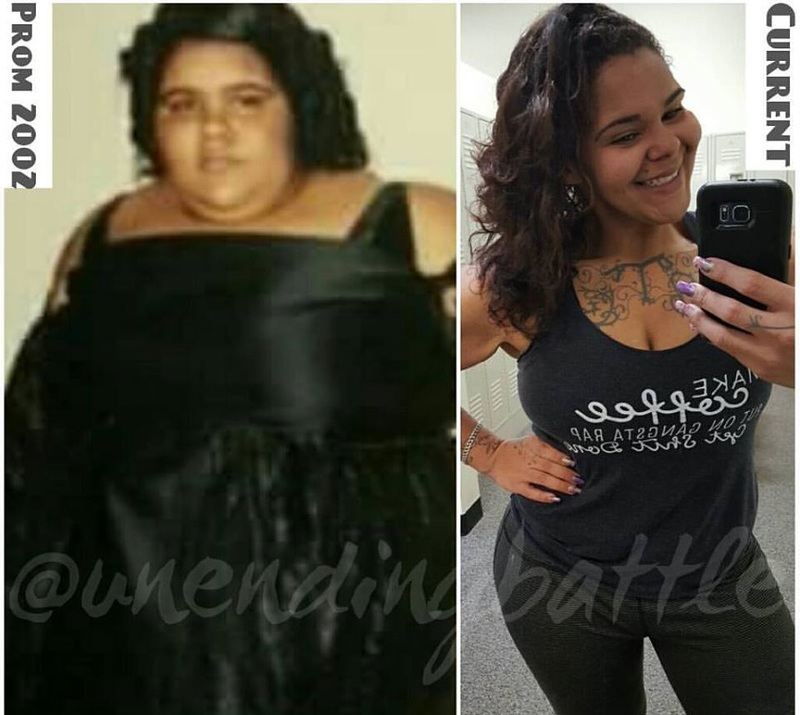 It was that moment – the embarrassment of people shuffling around to get a “special scale” with a higher weight limit, and the shock of realizing she’d reached 460 pounds – that brought her to where she is today. “I will never go back to where I was. I knew then that I had to make some drastic changes in order to stay alive,” Candice says. She was just 23 years old but on the way to serious health consequences if she didn’t lose weight. 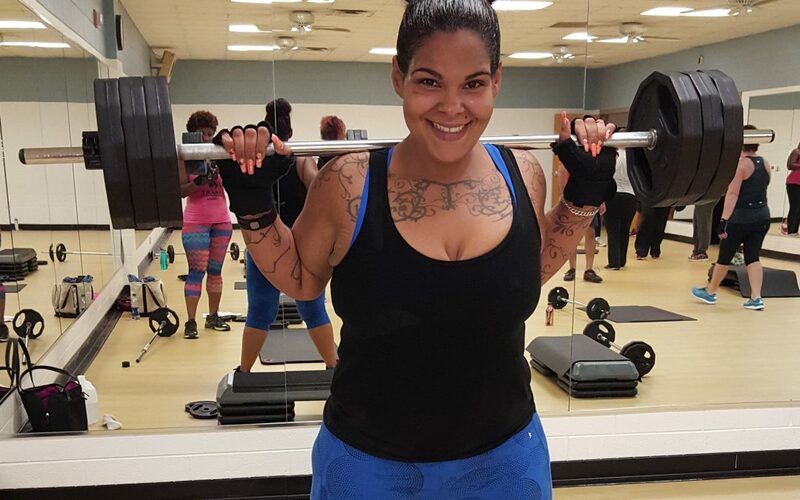 Candice’s journey to lose 280 pounds over four years – and keep it off for another four – is one that has inspired the Blue Cross employee community and her more than 130,000 (as of today) followers on social media. “I grew up fast,” Candice says of her childhood. 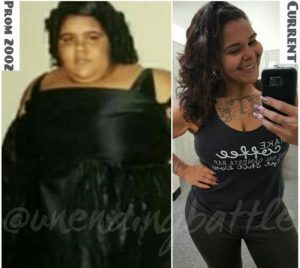 Candice’s mother had bariatric surgery when Candice was 9. This was in the 1990s before it was a mainstream weight loss surgery – or even a particularly safe one. Complications of the surgery left Candice’s mom with disabilities. Candice was often teased and treated cruelly because of her weight. “I had a foster parent who told me not to play with her children because I might sit on them and crush them,” she says. 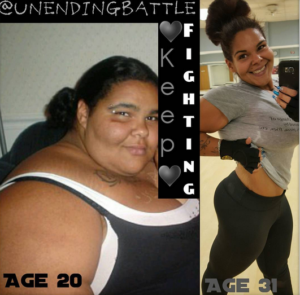 In addition to the dieting, she also started moving, and she hasn’t stopped since. She doesn’t currently follow the Weight Watchers program, but still closely watches what she eats. She drinks a gallon of water every day, eats as many vegetables as she can (and fruit too, but watches its sugar content), and eats only lean meat. Realize your motivation. “Why do you want to lose weight?” she wants you to ask yourself. It could be because you want to look better for your high school reunion. Or maybe you want to be able to run around with your kids without getting out of breath. Or you have to lose weight to manage a chronic disease. Whatever that motivation is for you, realize it and hang on to it. Tightly. Surround yourself with positivity. “This is probably the hardest one,” Candice admits. Still, she tries to find the good in any situation. “I may have a morning where I wake up late, burn my breakfast, and get into traffic – but then I have to think, at least I have food to eat and a car to drive and a job to go to.” Candice has integrated positive affirmations into every aspect of her life, from a smartphone app called ThinkUp to notes she’s posted all over her house. “I am beyond happy,” Candice says of her life now. 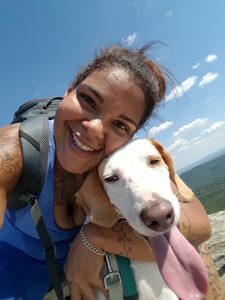 An avid hiker, Candice has a goal of climbing the highest peak in every state, a goal that would have seemed ridiculous to her “ten years ago” self. So far she’s summited 20 of the 50 – the highest being North Carolina’s Mt. Mitchell at 6,684 feet. Candice is pictured in the blue, second from the right. Her Instagram following is growing daily, and it can sometimes be overwhelming, but she loves it. “I’m a Virgo, so I can’t stand disorganization,” Candice laughs. “I may have 400 Instagram messages and 1,000 Facebook friend requests, and I want to respond to them all.” And she does. She’s even taken days off of work to focus on responding to messages and offering words of encouragement.